Getting around Stockholm by Bus: Public transport is good in Stockholm, but waiting for it can get a little cold! The capital of Sweden, home to a population of almost a million citizens, is an archipelago of 14 islands connected by over 50 bridges. The city has a global reputation for being a friendly and honest place with notable historic buildings and a thriving cultural scene. Voted the best Nordic city to locate a new business (2007), Stockholm is the base of choice for lots of Swedish and European organisations. Ericcson, Skanska, Electrolux and global clothes merchants Hennes & Mauritz (H&M) are all situated in the capital. Living in Stockholm Guide: Is Sweden’s Capital the perfect home for UK expats? What is it like to live in Stockholm? The city has something to offer everyone; from its bustling nightlife and eclectic independent shops to the historic, medieval buildings of the old town. As for culture, Stockholm has over 100 museums densely packed in the city. Celebrating things as diverse as ABBA to economic history, modern art to its maritime past the Swedes take pride in their culture. Named European Capital of Culture in 1998, Stockholm has three World Heritage Sites as well as a vibrant art scene, three ice hockey and three football teams. And, with 1000 restaurants with eight Michelin stars there is plenty to do around the city. The quality of life in Stockholm is very high when taking into consideration factors like the cost of living, health care, access to education and climate. There is a large expat community living in and around Stockholm and because the Swedes speak such excellent English there is a danger of not truly experiencing what it is like to live in a new culture. However, there are plenty of opportunities to immerse yourself like a local and to get a taste for real Swedish life. This can be as simple as accepting the hospitality of your Swedish neighbours to taking time to explore other areas of the country. City life in Stockholm, much like any city in the UK can become rather convenient and easy to forget about the richness of the country in which you are living. The general advice when it comes to getting by in Stockholm to truly experience the culture is to take the time to learn Swedish. A little goes a long way and, without the richness of the language, you may miss some of the finer qualities of the culture and its people. Lastly, people are drawn to Stockholm from all across the world including places like the USA, Australia as well as other European nations. You will meet a diverse mix of expats and hopefully find a new community to settle in with as well as embracing Swedish society. At face value the cost of general items such as groceries and essentials can seem much more expensive but relatively on a Swedish wage things are not as bad as they might at first appear. The other thing to take into consideration of the lower cost of rents and property prices which should extend your monthly disposable income. Property prices in the city are higher than anywhere else in the country but comparably cheaper than in London. The average cost of renting a 3 bedroom apartment is £1,709 with the cost to buy being in the order of £8000 per m2. There is a supply and demand problem in general in Sweden with housebuilding rates being the lowest across Europe. The city is well served by international and domestic transport links making it an ideal base from which to access much of Europe as well as the rest of Sweden. The most common form of transport is the train or metro at 49.5%, with buses and cars making up a further 35.6% of travel. However, there is a congestion tax which applies to the use of private cars in the city. The average commute time to work or school is 40.61 minutes to cover a distance of 17.63km which includes public transport as well as by car, walking and bicycle. Air pollution levels in the city are very low. Getting around Stockholm by Bus: Public transport is good in Stockholm, but waiting for it can get a little cold! Image by elmindreda. Compared to London, Stockholm has very similar levels of crime be it burglary, vandalism or violent crimes such as assault. London rates 46.53 on the crime index (0 being low and 100 being high) and Stockholm rates 46.33. The risk level is deemed moderate in both cities with residents of Stockholm being only slightly more likely than Londoners to worry about hate crimes. Are you currently living in Stockholm? Have you lived here in the past? Let us know what you think of the lifestyle in Sweden’s capital city. Our blog is here to bring you inspiration, destination ideas and practical advice for settling abroad. There are over 4.5 million UK expats scattered around the world today. From North America to Down Under, via a legion of Brits basking in the Mediterranean… there are very few major countries that don’t have a UK expat presence. Browse our latest trips around the world below. 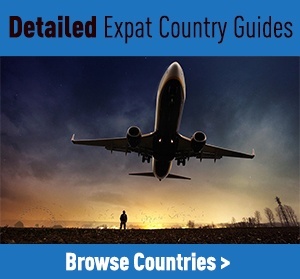 Also, be sure to check out our comprehensive Expat Country Guides!